C.J. 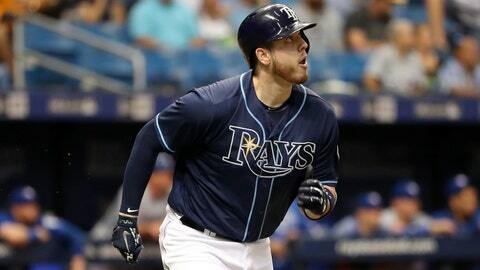 Cron batted .253 with 28 doubles, 30 home runs, 74 RBIs and an .816 on-base-plus-slugging percentage in a career-best 2018 season for the Rays, who designated the 28-year-old for assignment last week. MINNEAPOLIS (AP) — The Minnesota Twins have claimed first baseman C.J. Cron off waivers from Tampa Bay, adding an accomplished replacement for the retired Joe Mauer. With the end of Mauer’s career, the only other primary first baseman on Minnesota’s roster is Tyler Austin, who was acquired in a trade with the New York Yankees last summer.